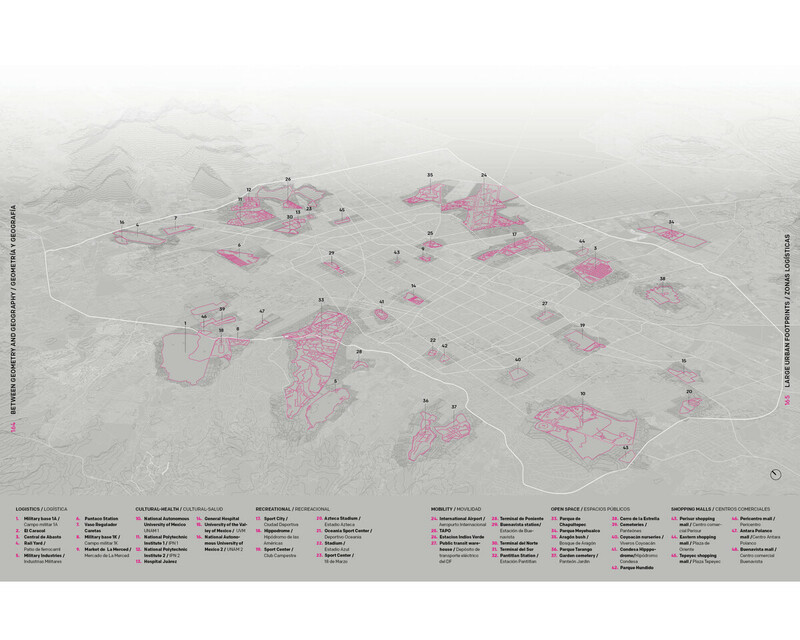 Unique in scope, scale, and civic aspiration, Mexico City is the ideal laboratory to test the capacity of urban design to construct a spatial synthesis from the geometric and organizational complexity of the city’s layered urban scenarios. 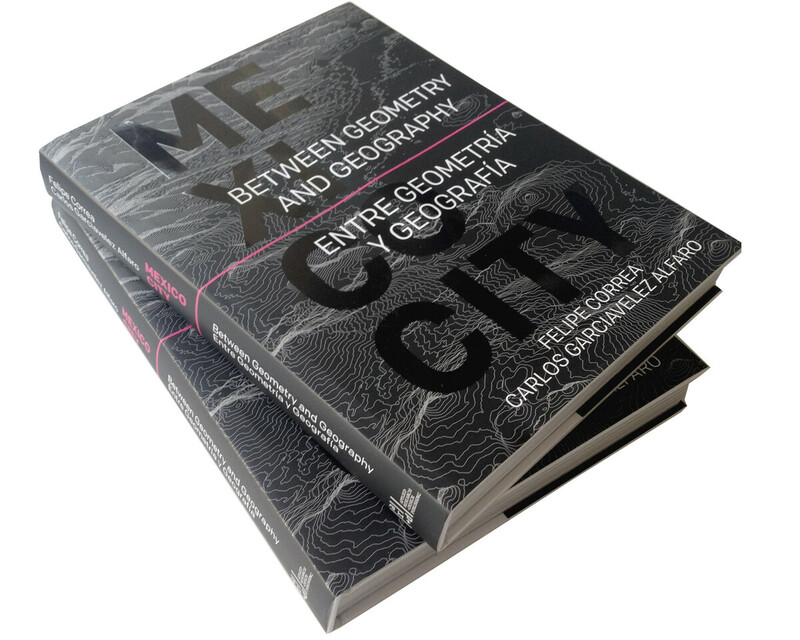 Between Geometry and Geography: Mexico City examines—through photography, archival material, and analytical drawings—the urbanistic evolution of Mexico City. 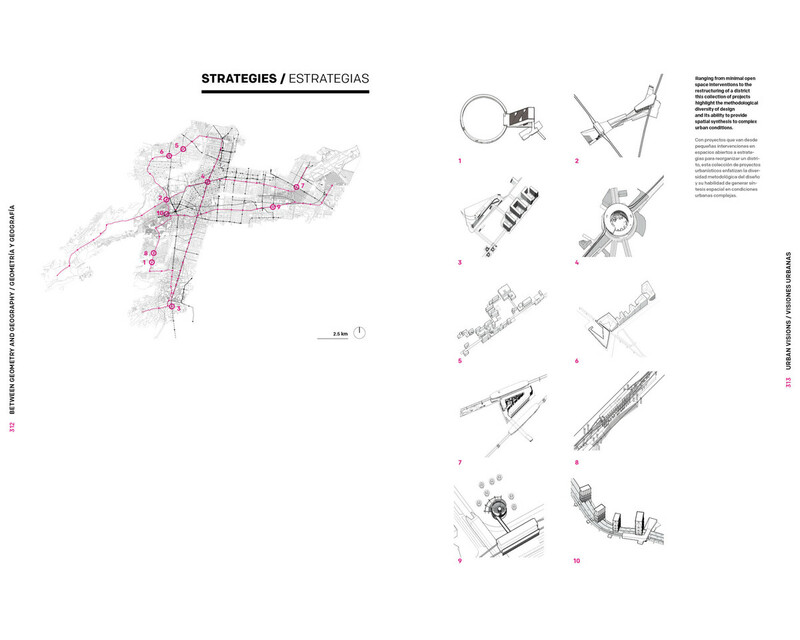 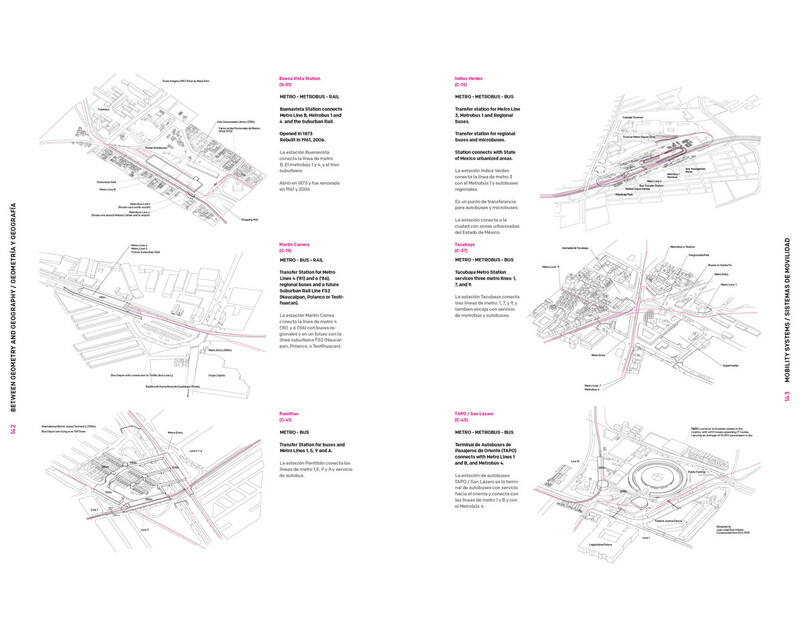 The project focuses specifically on the relationship between major public works and the urban fragments they have created in order to construct a visual analysis of the most dominant urban morphologies at play in the city. 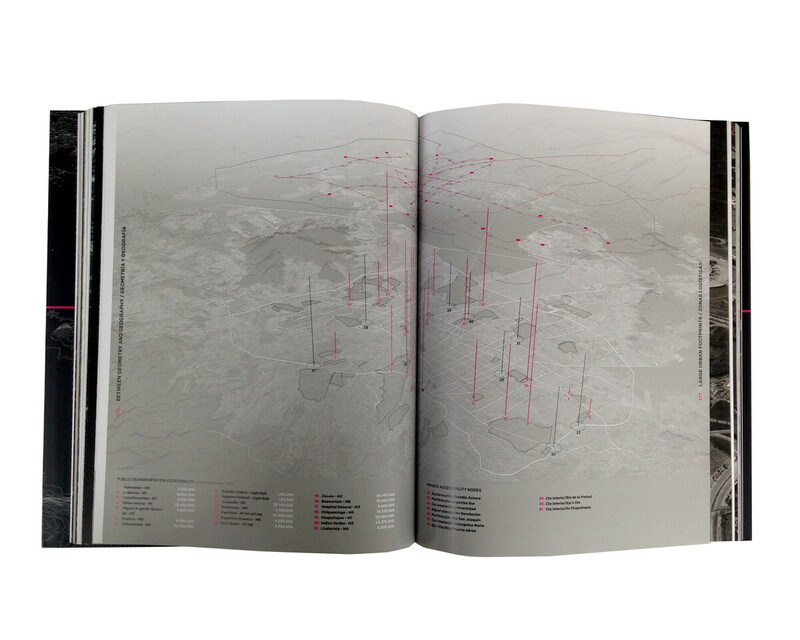 Organized in seven topical units —From Lake to City, From City to Metropolis, Mobility Networks, Logistical Footprints, Housing Stock, Hydrological Landscapes, and Urban Visions— the research tests the ability of design to confront and break down the perceived immensity of Mexico City by singling out and analyzing key urban projects that have shaped the city for over 600 years. 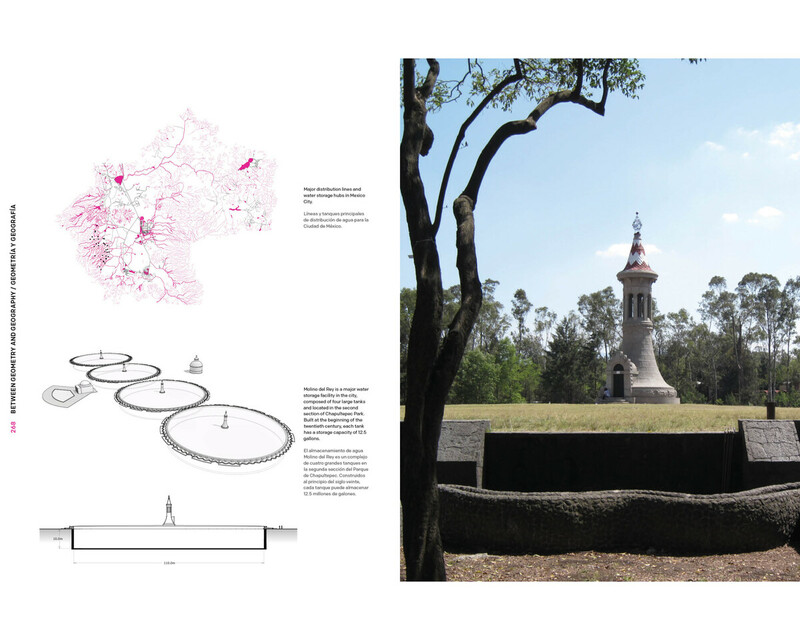 The confluence of the island city of Tenochtitlan, founded by the Aztecs in the 1300’s with the tight strictures of the Spanish colonial city of the sixteenth century, gave way to the forging of a new cosmic urbanity. 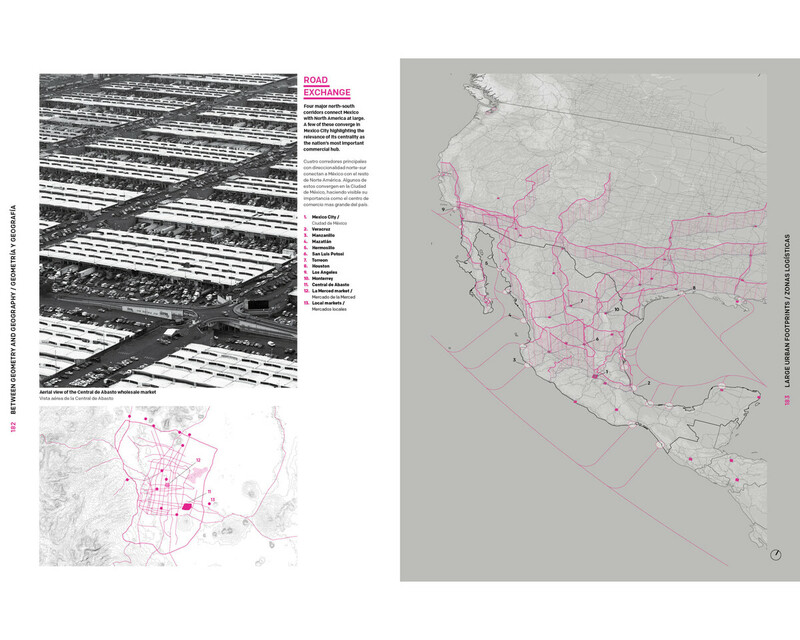 Unit 1 —From Lake to City— examines, across multiple scales, the morphological transformation from Tenochtitlan to the Spanish colonial grid. 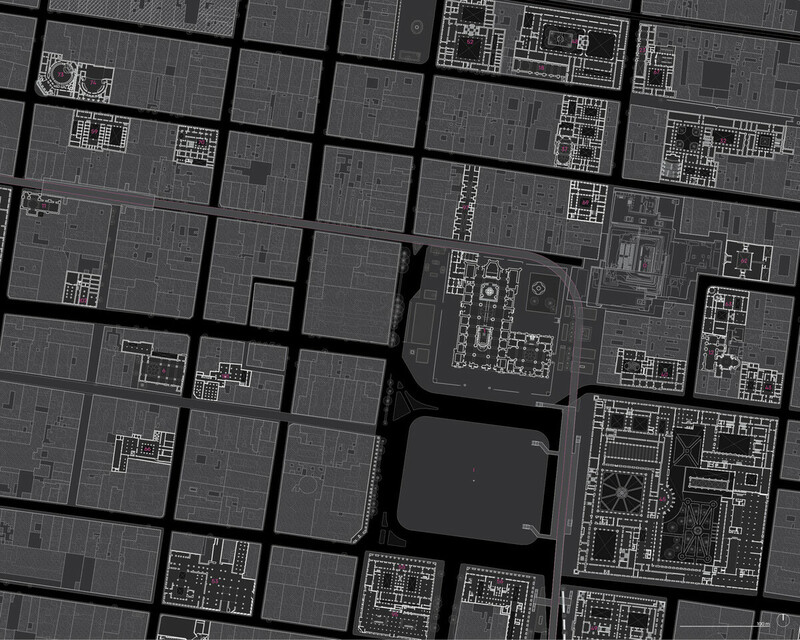 As part of the research, the team constructed a detailed plan of the contemporary morphologies of the historic core, one is able to see how the different layers that make up one of the oldest quarters in the city. 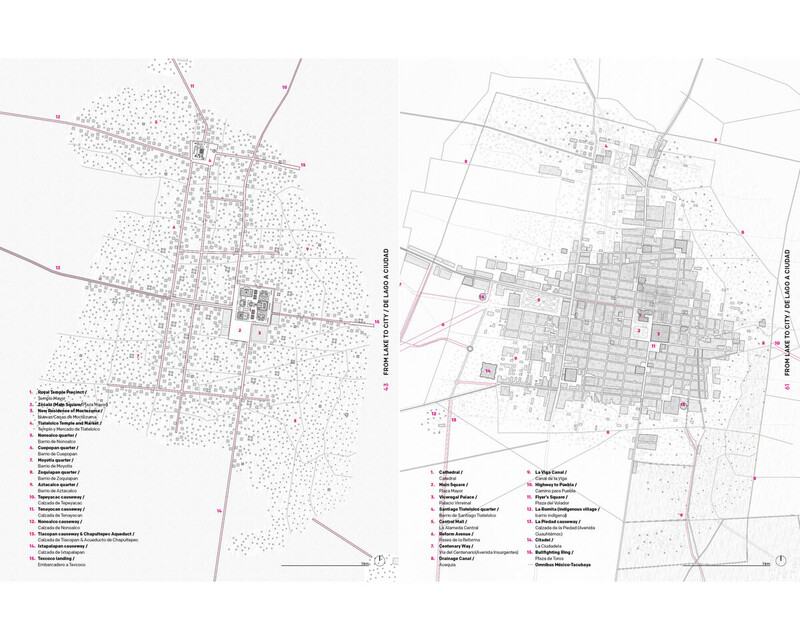 While the inscriptions of urbanization in Tenochtitlan / Mexico City remount to more than 600 years ago, the majority of the city’s urban footprint is one built in response to the developmental pressures of the twentieth century city. 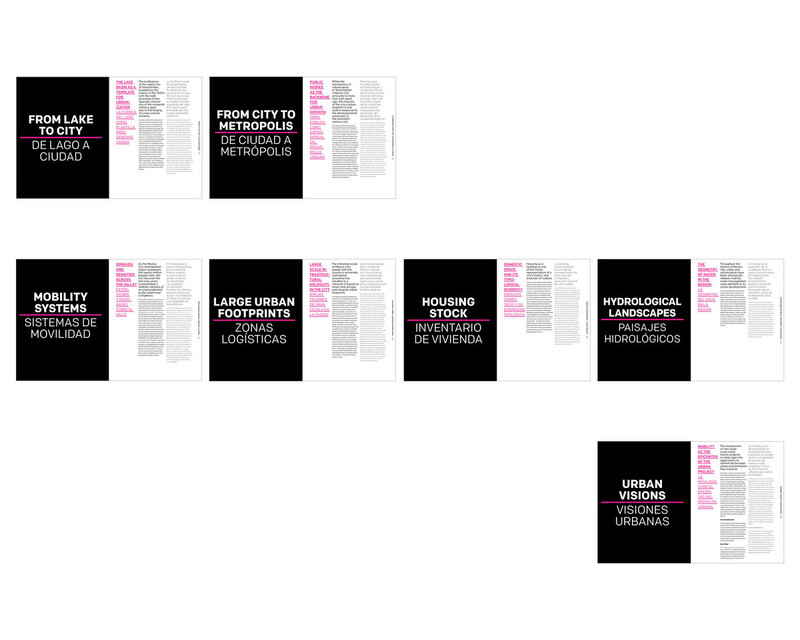 Unit 2 —From City to Metropolis— constructs a time line of the most important public works projects throughout the twentieth century showcasing the era of greatest urban transformation for the city. 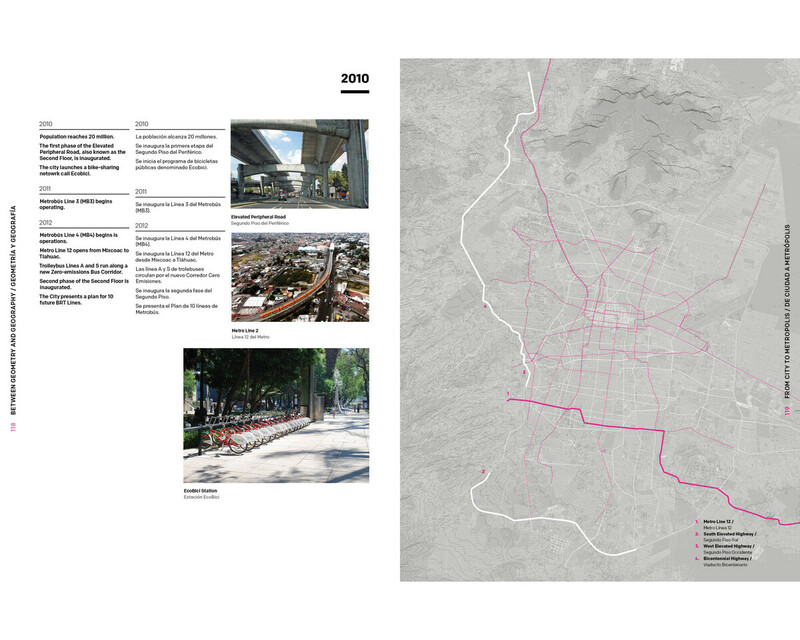 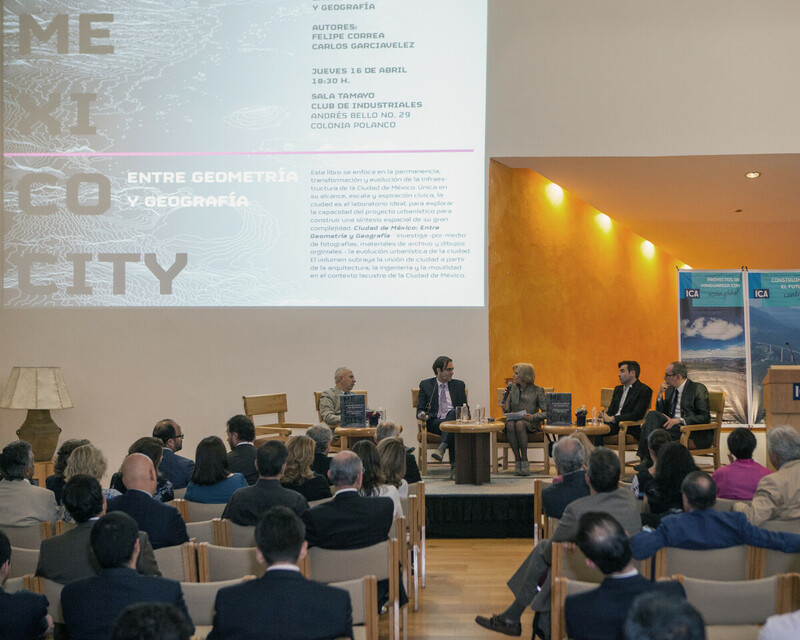 As the Mexico City metropolitan region surpasses the twenty million people mark, the city has over the last sixty years consolidated a mobility network of an unprecedented scale, extent and complexity. 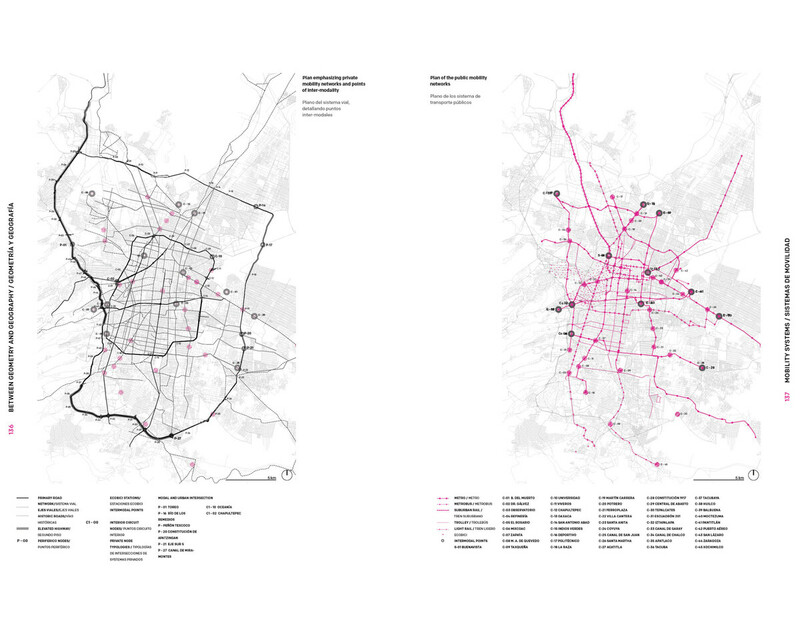 Unit 3 —Mobility Networks—constructs a taxonomy of the diverse scales of mobility that currently operate within the metropolitan region and draws out the multi-layered road infrastructure, the sub-surface geometries of the subway system and the rights of way of the more recently added rapid bus transit system. 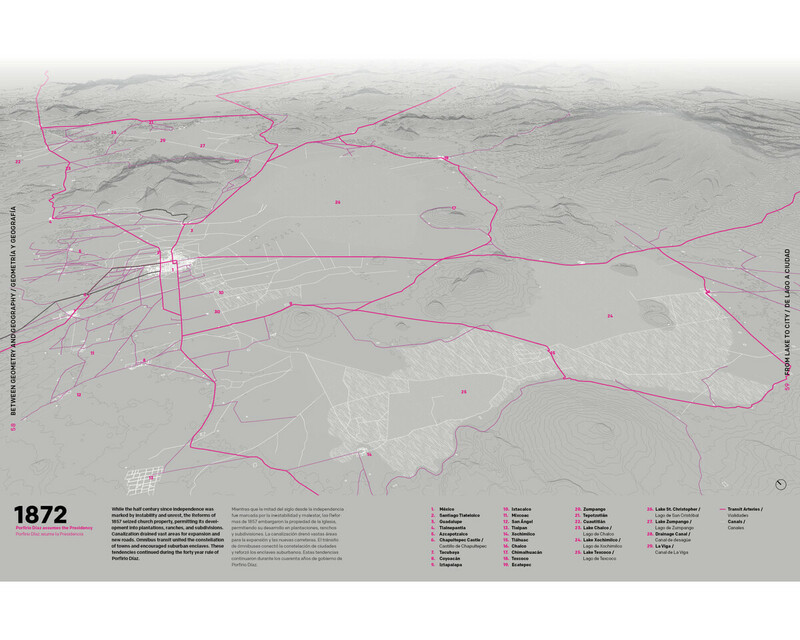 The immense scale of Mexico City, paired with the country’s extremely centralized economy has resulted in a network of logistical zones that occupy vast singular urban footprints. 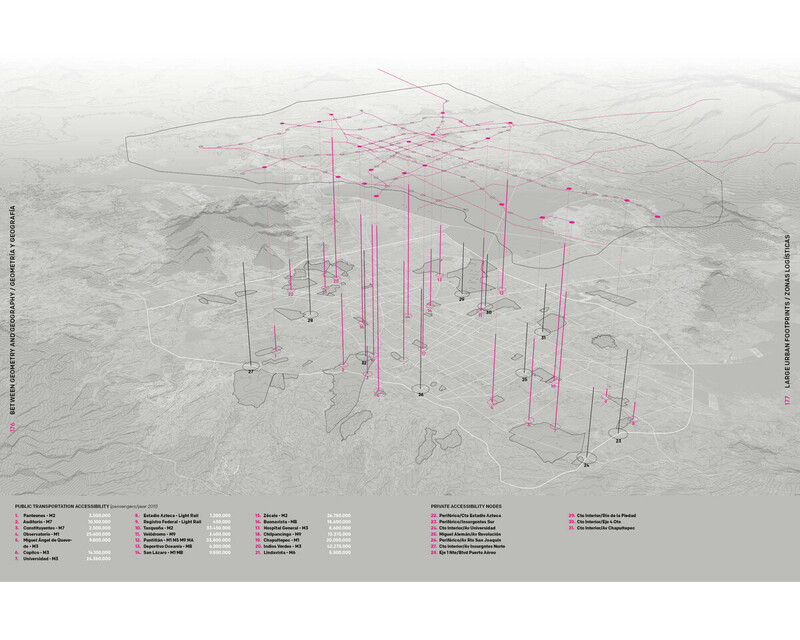 Unit 4 —Logistical Footprints— explores the operative dimension of these large logistical zones, understanding them as a space and scale of potential intervention in the city. 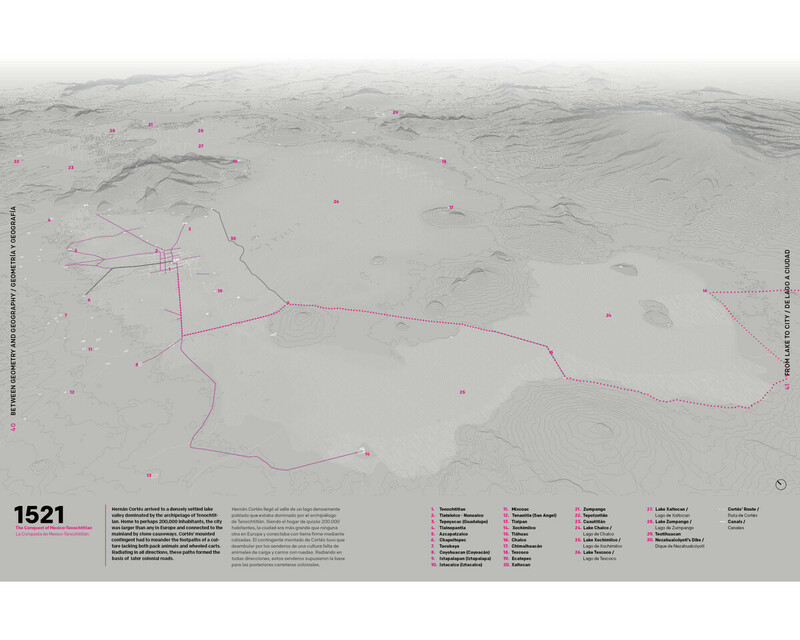 Additionally, the unit showcases the relationship between large-scale infrastructure and diverse forms of exchange at a national and North American scale. 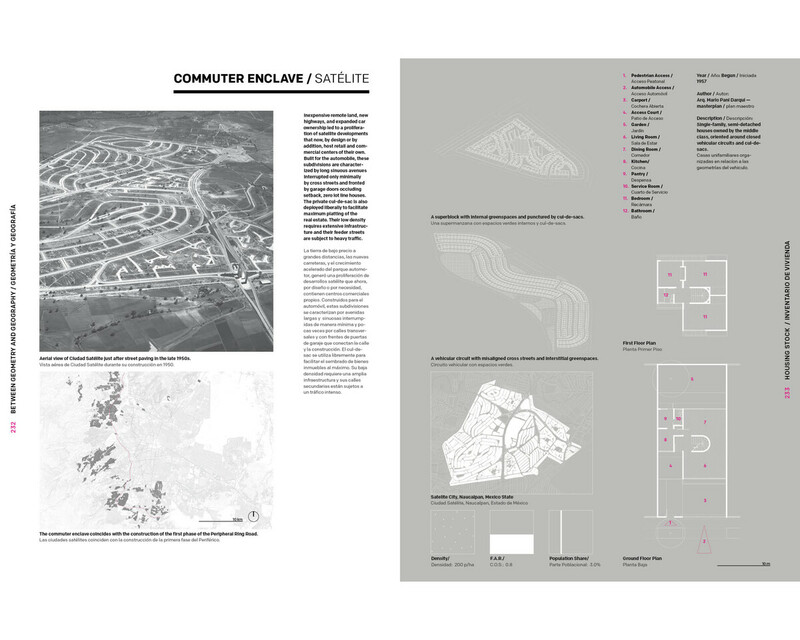 Housing as a typology is one of the riches representation of a city’s history and evolution of culture. 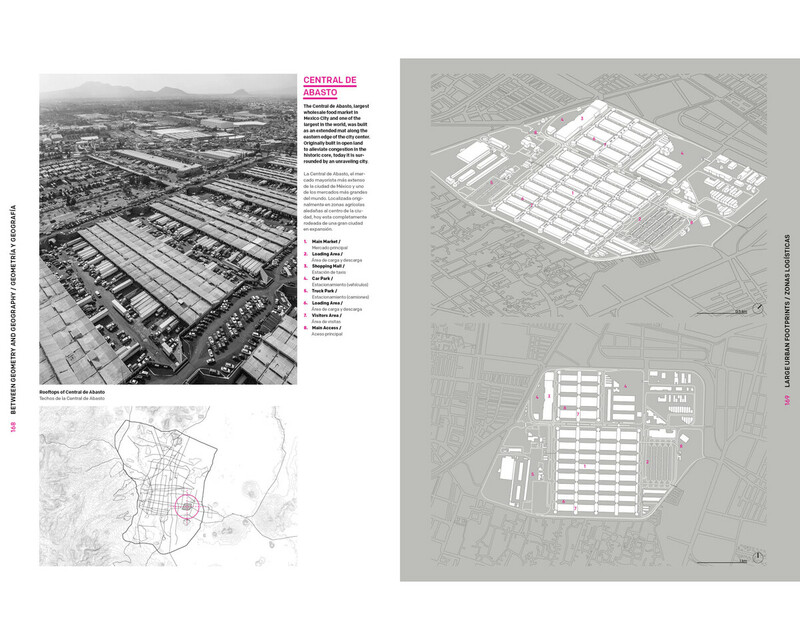 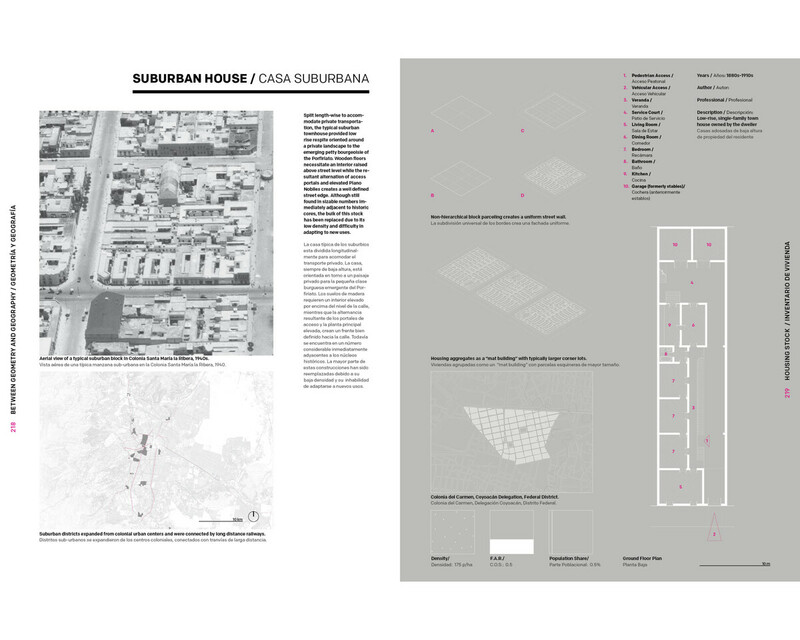 Unit 5 —Housing Stock— traces the evolution of housing types and their role in shaping urban blocks and neighborhoods. 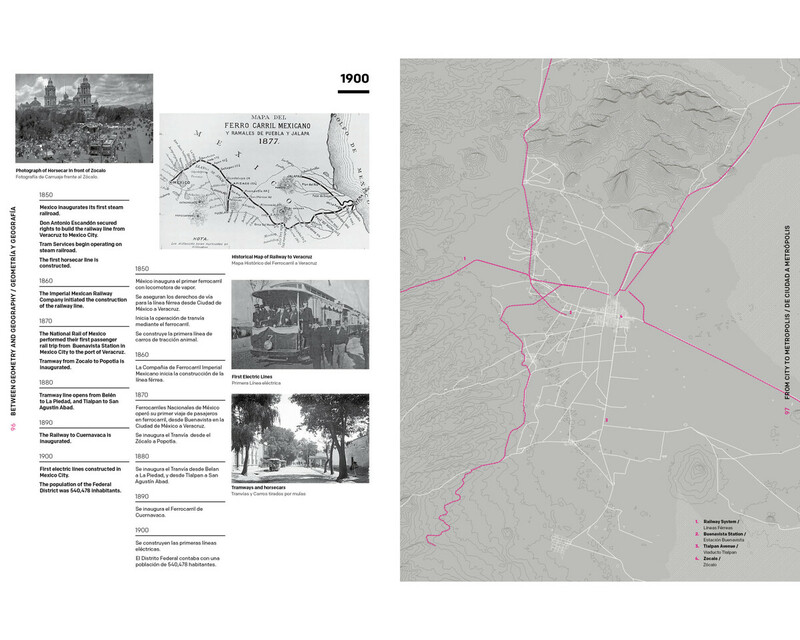 Throughout the history of Mexico City, water and urbanization have been intrinsically related, making water management a key element of its urban development. 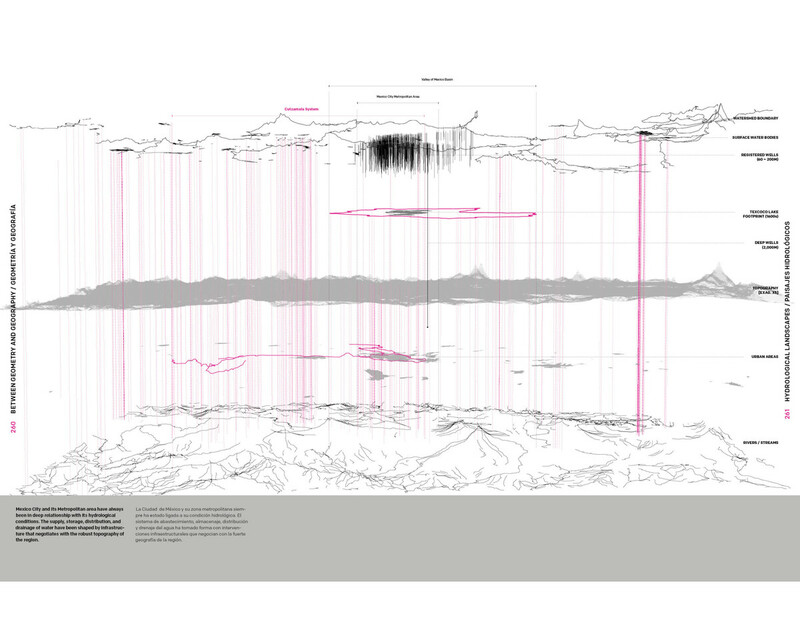 Unit 6 —Hydrological Landscapes— examines the multiple facets of water within the city. 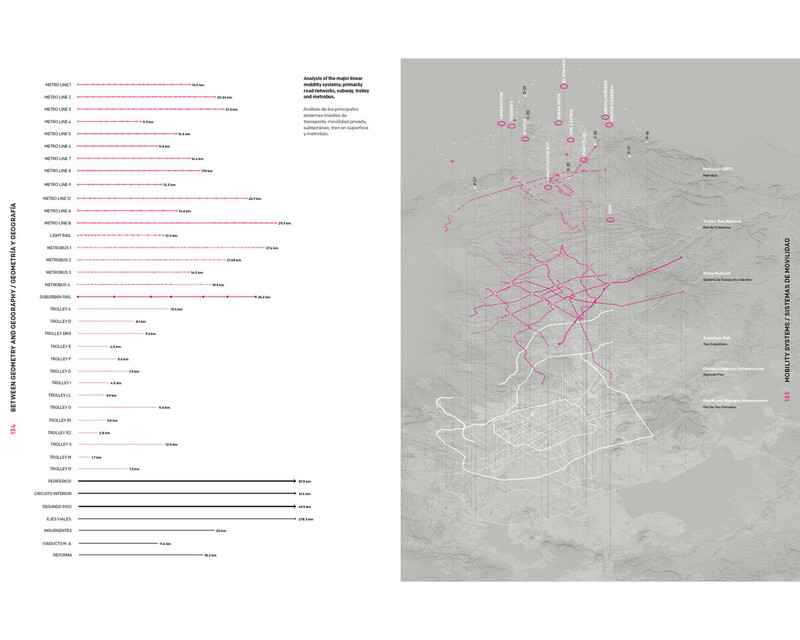 Major pipelines, reservoirs, canals, drainage networks and wells are visualized through drawings, singling out the strong presence of water geometries in the city. 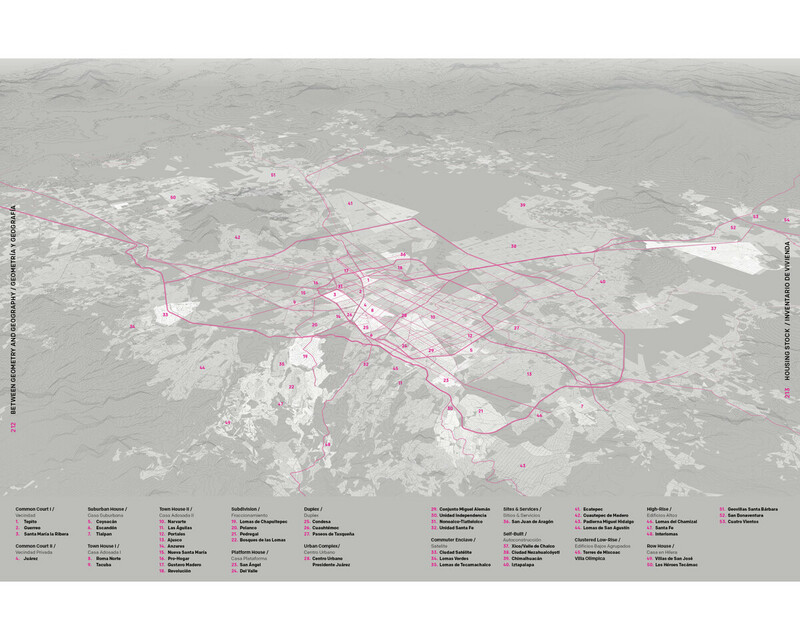 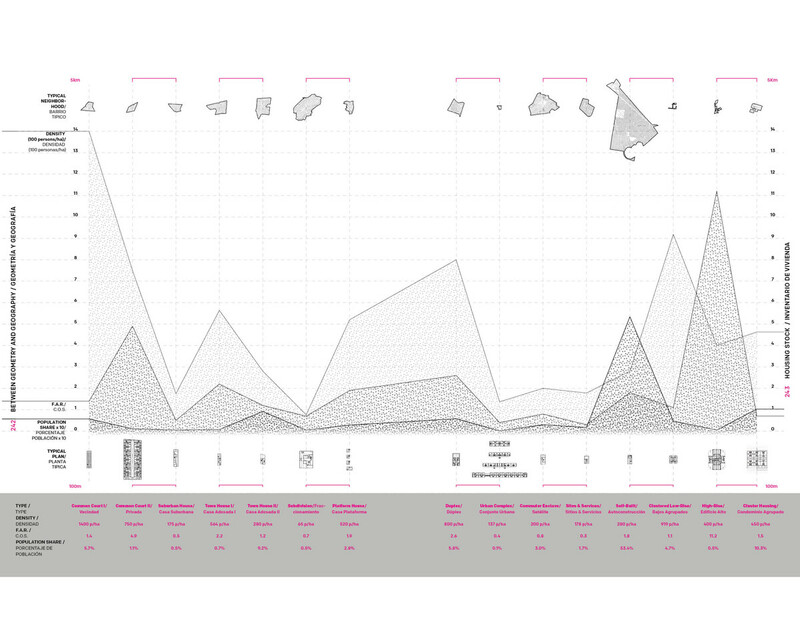 Using the preliminary research as a point of departure Unit 7 —Urban Visions examines how mobility infrastructure can serve as the backbone of a more integral urban project at a small and intermediate scale. 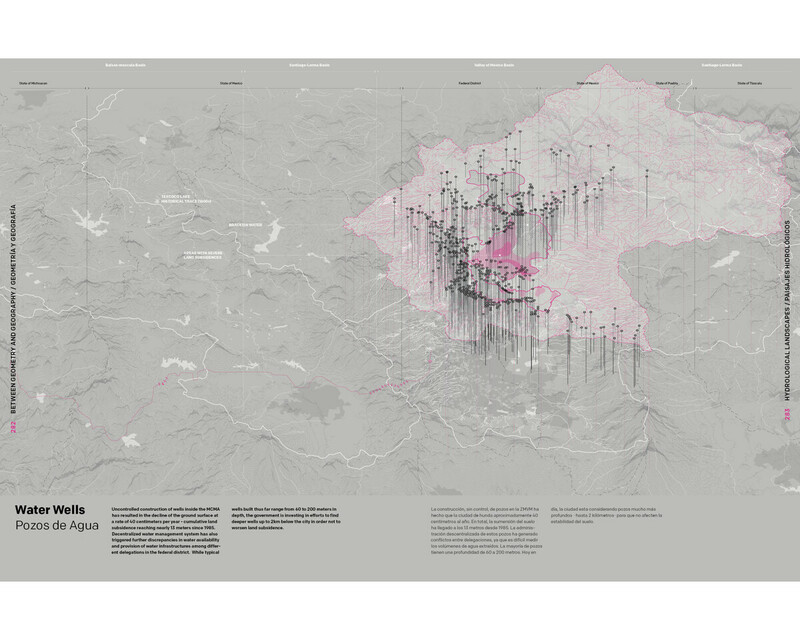 The work, documented in book and exhibition format, has been presented in multiple venues and events in Mexico City and around the globe. 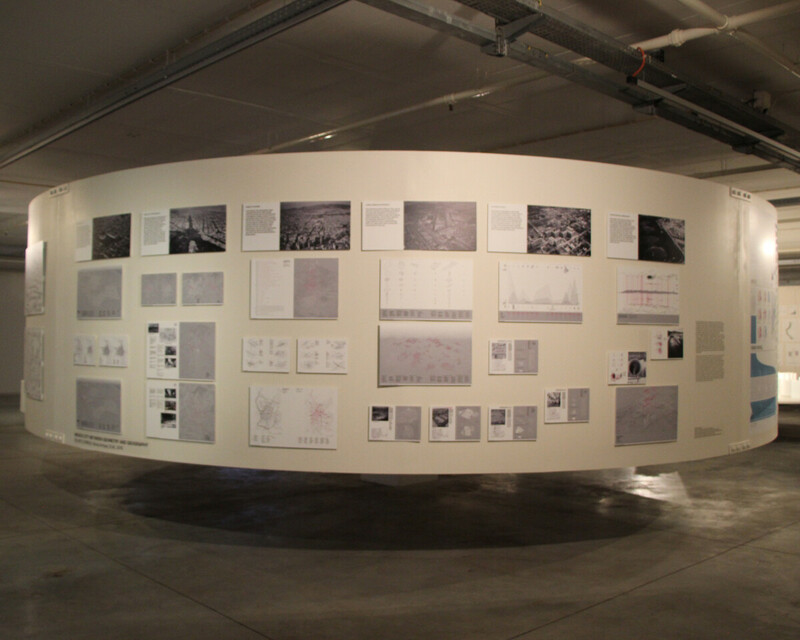 Most recently in the Lisbon Triennale.